4-Step Business of Dentistry Coaching Program. 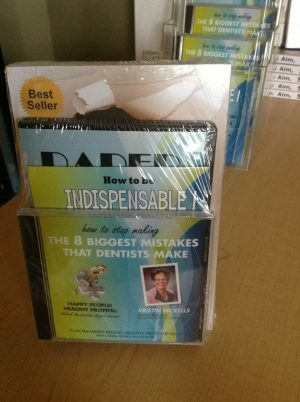 Priceless business basics that dental school didn’t teach you. Find relaxed confidence as a business owner & boss! 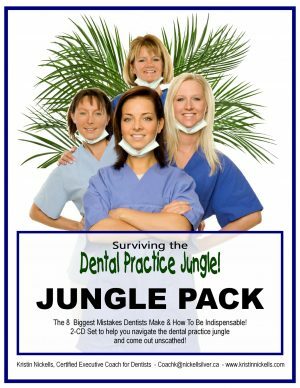 Dodge the pitfalls that trap other dentists! Valuable tools, techniques & tips that will save you a lot of grief! Audio CD. INDISPENSABLE! How to be the employee your boss can’t live without! How to BE a star employee – How to HIRE one! Audio CD. PAPER NAPKIN PLANS – The Workshop! 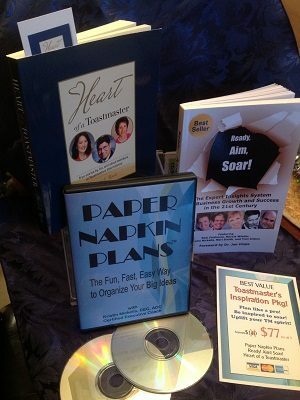 Paper Napkin Plans – The fun, fast, easy way to organize your big ideas. One hour workshop for clubs, non-profits, businesses and business groups.